Each player of the Betsson brand of online casinos is going to be able to receive up to 250 free spins to play the brand new slot South Park: Reel Chaos. All your favorite characters are back and they are about to save the world from an expanding evil doing of Professor Chaos. This is a perfect time to help them achieve the goal by spinning the reels with a batch full of 250 spins for free. As an exclusive promotion, this content is available nowhere else, you may experience the exciting gameplay and unique artwork for much longer now. In order to do it, you will have to meet certain obligations that go along with this campaign, but nothing so unordinary which could prevent you from enjoying the game. It will be openly available on all desktop and mobile platform that both count towards the promotion starting on the 23rd of October 2014. 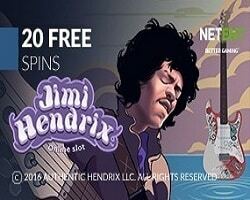 By meeting any of the in-game achievements, players will be eligible for the free spin package available on Mondays, Wednesdays and Fridays during the promotional period. A single draw for the ultimate South Park experience can be acquired by triggering any of the featured bonus rounds. Each of the achievements will be activated by defined requirements and rewards will follow as a result. What is even more, the campaign follows an extremely attractive opportunity to win a trip to Colorado, the home to South Park characters and the host of 2015 Alpine World Ski Championships. By earning the previously mentioned tickets from the slot game, you will become part of the draw to participate in this huge event. The tickets will be available for earning till the end of the promotional period, which is the November 5th 2014. Each time of entering the achievement feature is going to grant an appropriate number of tickets, up to a total of 34. Both platforms, desktop and mobile count towards the promotion and the winner can take a friend along for the journey that lies ahead.